This week has definitely been one of mixed emotions and because of that, this Friday deserves something good with a nice strong kick. 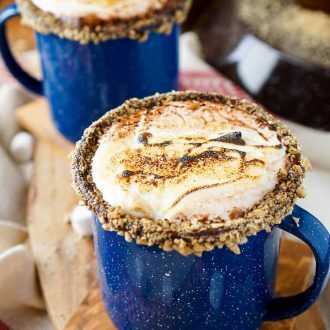 I think according to my schedule I was supposed to be posting some Chocolate Milk No Bake Cookies, but this Campfire S’mores Hot Chocolate Cocktail sounded a whole lot better, so I made some and here we are. The cookies can wait. We had a pretty mild winter here in Maine, but now apparently Mother Nature is contemplating dropping a blizzard on us on Monday, which also happens to be the first day of spring. Go figure. 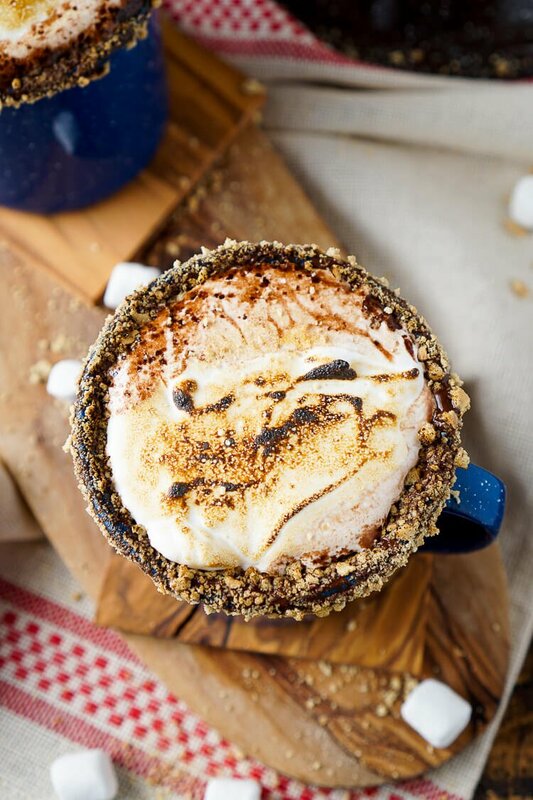 So since we seem to be in that in-between, it seems perfectly acceptable to still be sipping hot chocolate as well as working a summer twist like s’mores in! But personally, I’d drink this any time of year, especially since those summer nights can be chilly too! 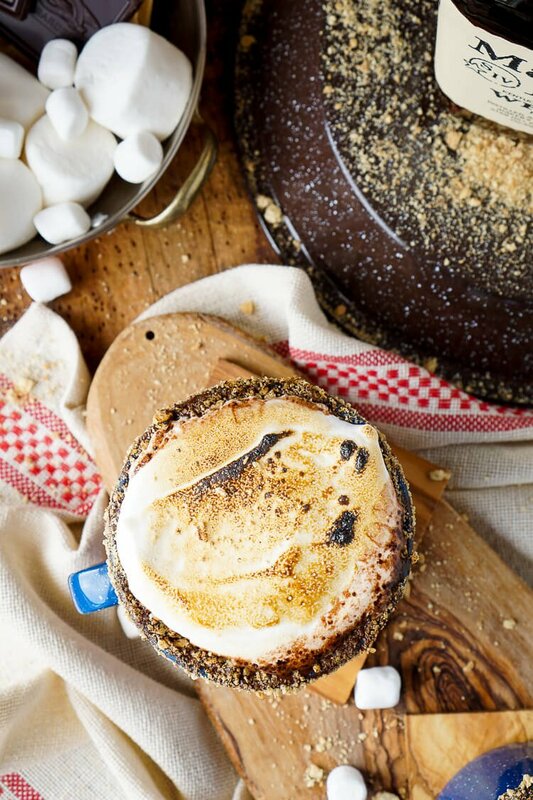 The hot chocolate base is made with both milk and heavy cream for an extra creamy texture. There’s three different forms of chocolate worked into this concoction: chocolate chips, chocolate syrup, and chocolate pudding mix! Needless to say, it’s nice and RICH! 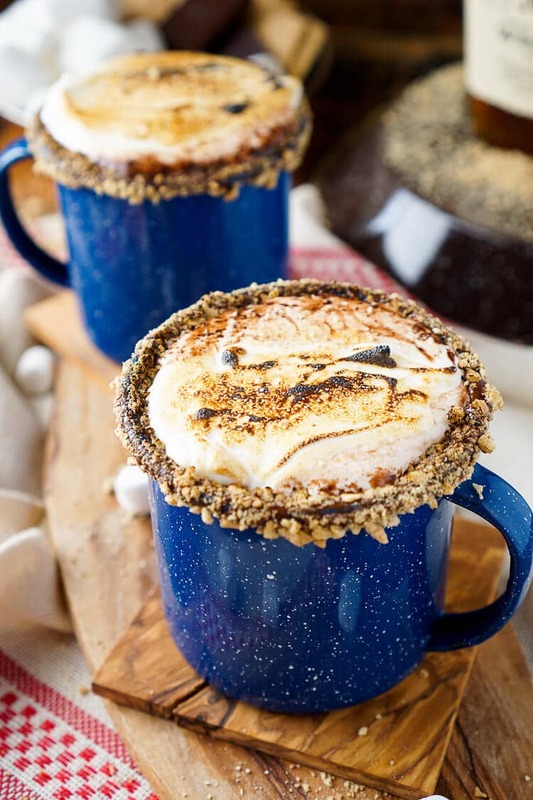 The touch of honey brings in the sweet graham cracker flavor while actual crumbs line the chocolate rimmed mug. 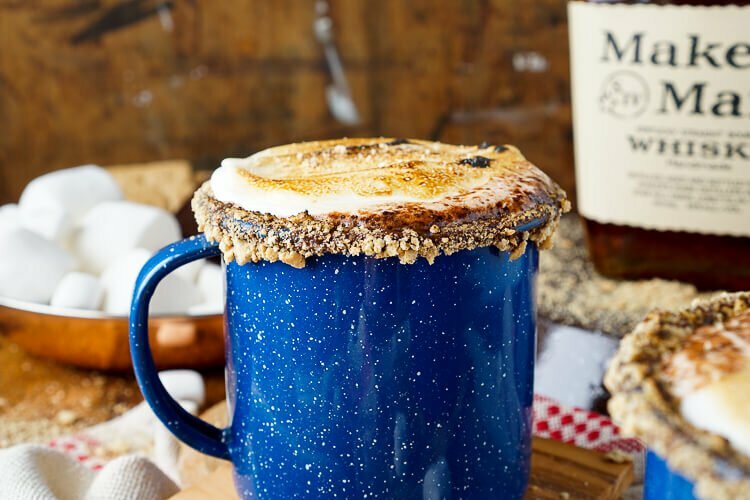 And then it’s finished of with a bit of whisky to keep you extra warm and that toasted marshamllow fluff is just the icing on a hot chocolate that should be a cake too! So here’s to the weekend, may it be whatever you want it to be – lazy, productive, fun – whatever, just enjoy it! Mine will probably be a mix of both, I’m thinking tomorrow will be perfect to stay in my pajamas and eat junk food and watch Daredevil Season 2, but Sunday will definitely be a working family day. 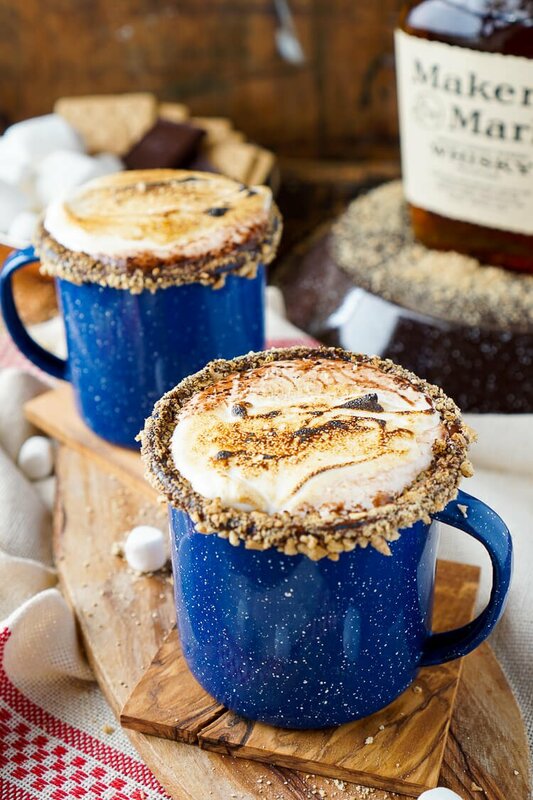 This Campfire S'mores Hot Chocolate Cocktail is laced with whiskey and honey for a smooth and cozy drink! 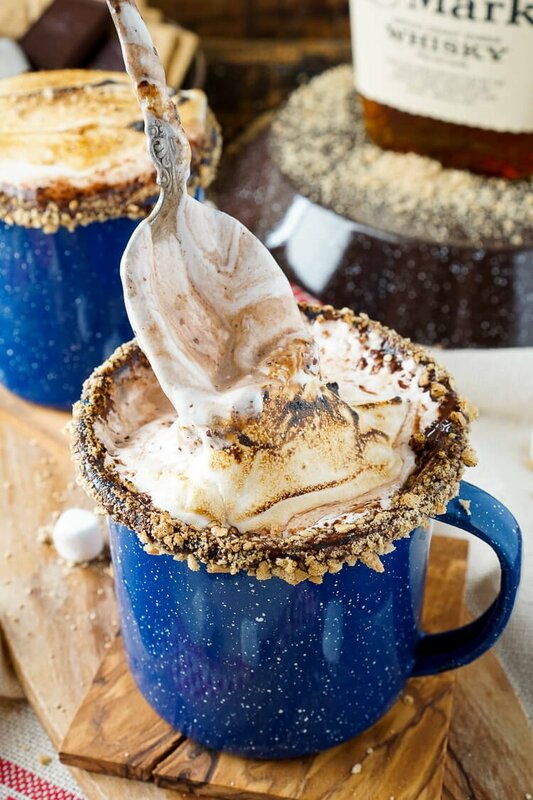 Obsessed with how delicious this S’mores Hot Chocolate is – especially that toasted marshmallow top! Thank you so much, Thalia! That toasted fluff is the best part!